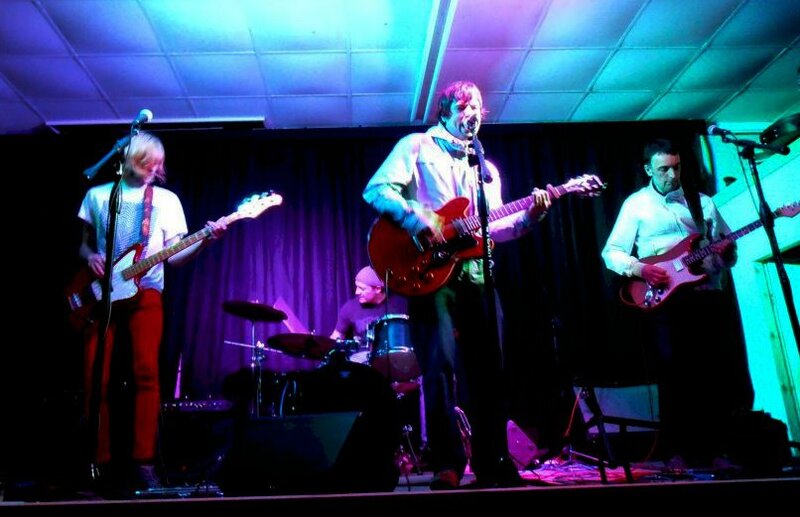 Halcyon Days are an Indie, rock band from Keighley, whose catchy acoustic and electric riffs make them an accessible and affable band. With Gaz Blackburn on vocals/guitar, Jay Turner on bass/backing vocals, Chris Farrugia on guitar and Chris Mc Dermott on drums, Halcyon Days are your classic British band, whose stripped down acoustics and emotionally coated lyrics delve deep, revealing a sentimental core. With their fleeting interludes of harmonica waves and tambourine beats, Halcyon Days lean towards a folky horizon which is reinforced through the acoustic strumming. As a front man, Blackburn ticks all the boxes, allowing his rich vocals to command the songs with gentle ease and honesty making him a breath of fresh air. “Don’t Wanna Say Goodbye” is a powerful song, which cuts to the bone with its melancholic soundscape and heartfelt lyrics. Emotionally raw, “Don’t Wanna Say Goodbye”, is driven by the flutter of acoustic riffs and tambourine rattles which play in juxtaposition against the haunting drones of sunken and all consuming gliding riffs. Along with Blackburn’s rich vocals, “Don’t Wanna Say Goodbye”, is a song which sings from the heart and weeps from the soul. It’s an amazing song, a tribute song which benchmarks “Halcyon Days” talent and skill at penning a sentimental rock song that directly pulls at the heartstrings. “Get on with Yer Life” is a fast mover, whose acoustic strums races against Blackburn’s commanding vocals. With its fleeting harmonica and shaky tambourines, “Get on with Yer Life”, illustrates the band’s diversity at penning an accessible folk-rock song, whilst engaging you with its thought-provoking lyrics. It’s a great song, whose charm lies with its direct honesty that synchronises with its stripped down soundscape. “You Got Me” is a great song, whose plucky electric riffs shimmer in juxtaposition against the curving sliding riff and thumping beats. Upbeat and romantic, “You Got Me” is like a crossbreed of early Oasis and Bob Dylan a sort of “bare baggy”, without the Northern bravado or house psychedelia. It’s a brilliant song, which is customised by the echo of dual vocals and happy go lucky harmonica and showing us once again at Blackburn’s skill at commanding a song with his strong vocals. “Monday Morning” is a stomper of a tune, whose crunchy and curving riffs grab you by the jugular and hook onto Blackburn’s mellowed vocals. Along with the clinging bass, rumbling drums, rattlesnake tambourine and interlude of sassy riffs, “Monday Morning”, saunters and preens with a carefree swagger, a personified cool that brings out the quintessential Northern sounds of Halcyon Days.